Glen Arbor Arts Center present “Picasso in Paris, Matisse in Nice,” an art talk about the creative genius of Pablo Picasso and Henri Matisse. Art educator Linda Young connects the dots in her lively talks, and will put the work of these two titans into context of their time. Young, a Glen Arbor resident, was the Director of Museum Education at the Kalamazoo Institute of Arts for 20 years. The approach to painting taken by Picasso and Matisse dominated the first 50 years of 20th Century art: one with shape and the other with color. Picasso revolted against realism by breaking up forms and inventing Cubism — then continued to challenge traditional views about art with unorthodox approaches art for over 60 years. 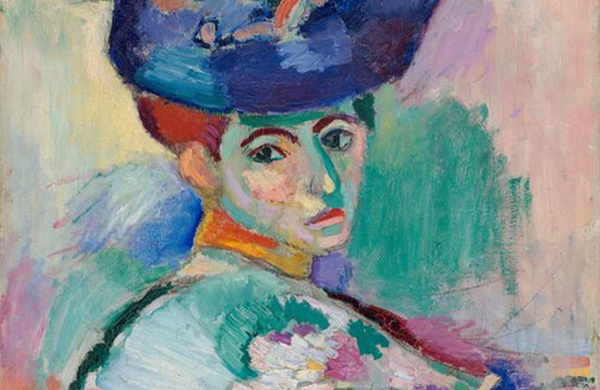 Matisse shocked world in 1905 with unconventional portraits of his wife. Vibrant, arbitrary colors defined his style, and made him the leading artist for the Fauves, a group of artists who felt color should express emotion, not just imitate nature. In many respects polar opposites, and at times rivals, Picasso and Matisse’s artistic approaches had a common theme: that art should not represent, but reconstruct, reality. A French cuisine inspired luncheon at LaBecasse follows the lecture. The luncheon is limited to 50. Reservations are required. Cost: Lecture and Luncheon is $42/members, $50 nonmembers. Lecture only is $10/members; $15 nonmembers. Purchasing is no longer available online.